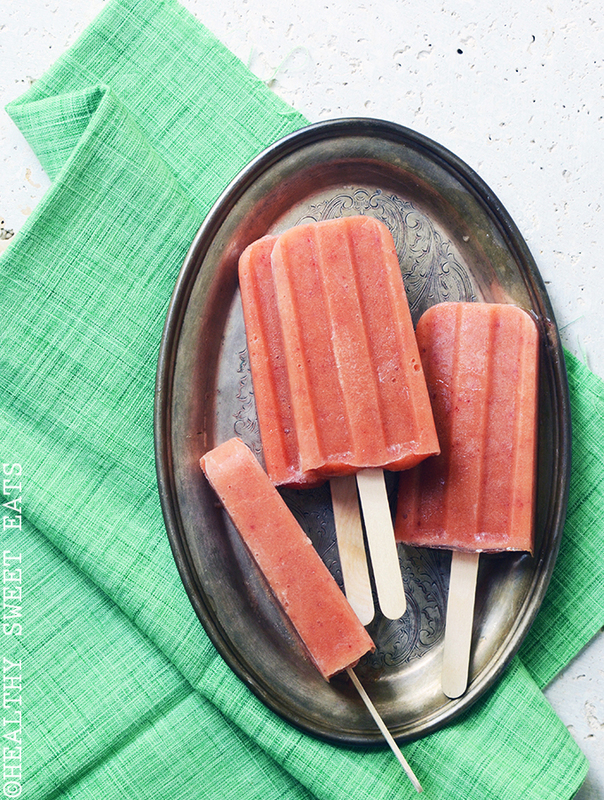 Cool off on a hot day with these all-fruit 3-Ingredient Vanilla Peach Popsicles! There’s a reason popsicles are so popular. On a hot summer day, what could be better than getting in your fruit in frozen form? Anyway, I much prefer making my own pops instead of buying them because I get to put 100% fruit in them (and if you’re really adventurous, you can puree veggies in too! ), and only add sweetener if the fruit needs it. 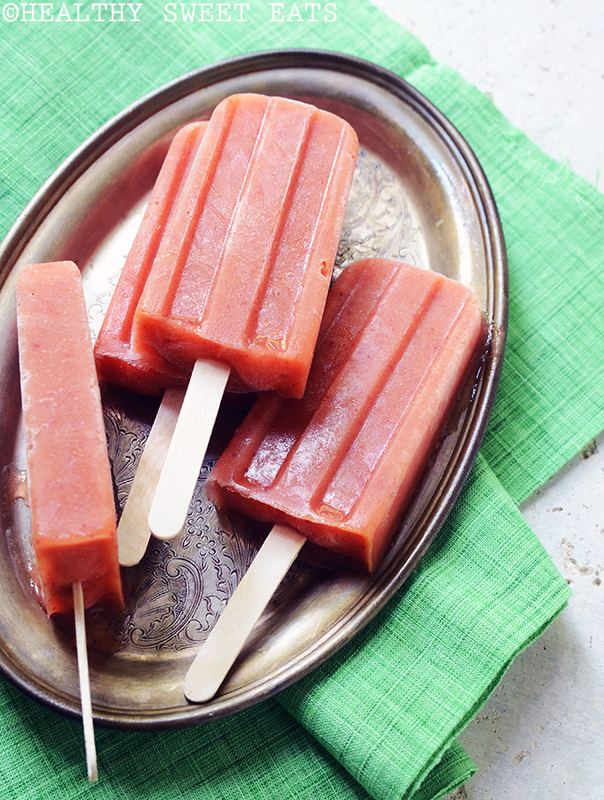 With just three ingredients, these pops are a real celebration of peach. Don’t skip the vanilla and sea salt because they pull out the peachy flavor. Easy to make and super refreshing all-fruit pops! These are a celebration of peach. Add all ingredients to a blender or food processor and process until completely smooth. Spoon the peach mixture into popsicle molds, making sure not to fill the molds over the “fill” line, since liquid expands as it freezes. (My molds are 2 1/2 oz/75 ml and I got exactly 4 popsicles.) Gently tap the mold a couple times on a hard surface to help any air bubbles escape, then insert the sticks. Transfer to the freezer and freeze completely, about 3 to 4 hours, depending on the size of your popsicles and how cold your freezer is. To easily unmold the popsicles, dip the plastic bottoms in warm water and they should slide right out. Once unmolded, wrap each popsicle individually in plastic wrap and store in the freezer. 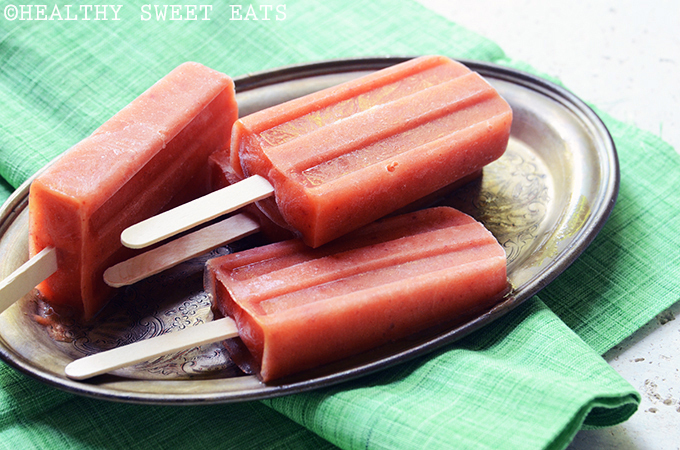 Sweetness Level: The sweetness level of these popsicles will vary based on how sweet your peaches are. Before serving, you may want to taste the peach mixture and add honey or powdered stevia as desired.